Imagine calling for help during an emergency, then being dumped by the roadside because your emergency is “no longer” as urgent. 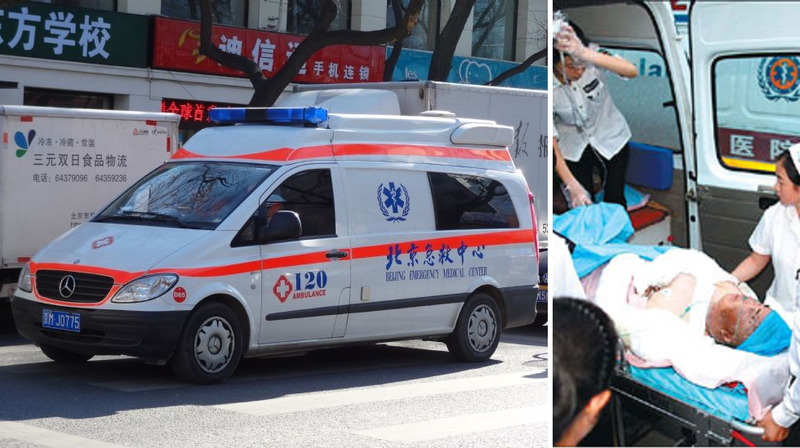 That is exactly what happened in, well, China when EMTs (Emergency Medical Technician) of an ambulance found out their patient is already dead, reported Anhui News translated by NextShark. An elderly gentleman was reportedly involved in an accident and his family had called for an ambulance. He was accompanied by a female family member and was brought to a clinic. However, he was later advised to seek medical treatment at a hospital as his condition was much severe than he thought. As such, he was put into an ambulance to rush the injured man to a hospital. En route the journey, the ambulance met up with another ambulance from a larger hospital. The doctors from the latter ambulance proceeded to check on the patient only to find that he had passed away. Having received another emergency call, the technicians then explained to the female family member of the deceased that they had to go. They then proceeded to unload the body of the old man and left it with the woman by the side of the road and rode off. I’d imagine she must be freakin’ upset because let’s face it, WHAT DA F**K was she going to do with a dead body stranded at the side of the road?! 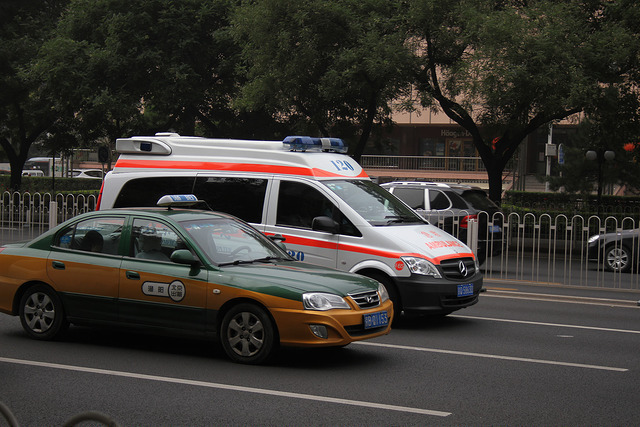 Flabbergasted by the impertinence of the ambulance technicians, the family members of the patient called the police and eventually the EMTs that were involved got sacked. According to the police, the best course of action for the ambulance was to take the body to a mortuary or pass it over to a vehicle that would take the body to a mortuary. Some netizens that heard this story were unsympathetic about the incident as they claim the man is already dead, so it’s more important for EMTs to make their way to another person who is in dire need of rescuing. Others still do not think it’s justified to leave a helpless woman to tend to a dead body by the side of the road, plus it was very disrespectful of them to treat the dead like they did. What do you think? Feel free to let us know by leaving your thoughts in the comment section on our Facebook page!